Paul Scholes has told Jose Mourinho to be more tolerant of the inconsistent displays of Marcus Rashford and Anthony Martial. The duo showed their potential early on; the first five Premier League games saw at least one of Rashford or Martial find the net, even though they didn’t start together in any of them. Because they were treated well and were at similar stages of their careers, they developed a healthy rivalry. Since Alexis Sanchez, a more established performer, joined in January, the other two wide forwards have seemingly struggled for confidence. Martial has not scored or assisted a goal since February while Rashford struggled badly in the FA Cup Final against Chelsea, was publicly criticized by Mourinho moments after his bad miss in the 1-0 defeat at Brighton. Scholes believes the tough love approach of the Portuguese tactician is not working with the youngsters, whose confidence have hit rock bottom following constant lack of game time and general support. Martial is reportedly open to leaving in the summer, while some have suggested that Rashford could be farmed out on loan. Speaking to Talksport, Scholes said, “It’s a little bit worrying, especially the comment after the Brighton game,” He was quoted as saying via Daily Express. “These young players need an arm around them these days, they need a bit of love at times and they aren’t really getting that. “Would they improve if they get that? I hope that they would. 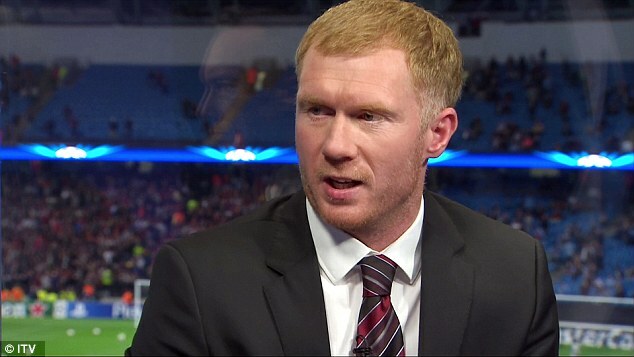 Scholes believes that they must not be allowed to leave, as United will rue the decision as Chelsea have come to regret the sales of Kevin De Bruyne, Romelu Lukaku and Mohammed Salah after Mourinho became impatient with their displays as youngsters. Martial and Rashford are highly rated at Old Trafford and are seen as the future of the club, but Mourinho wants players that can give in consistent displays week-in, week-out. The pressure on him means that he must deliver, but the players must also step up when it matters most.